The role of the specialized high-school computer teacher is challenged by both students’ and non-computer teachers’ growing expertise in computers and technology in general. It is also challenged by a need to keep pace with a field that is constantly changing. Yet, few studies have investigated the complex variables that may affect computer teachers’ computer-related performance. This study investigated the relationships between multiple variables including demographics (gender, computer experience, etc. ), global self-worth, computer self-concept, computer attitude and achievement. Data collection relied on a survey of 400 pre-service, high-school computer teachers. Implications point to the potential value of opportunities in computer-teacher education for teachers to reflect on the personal characteristics such as attitude, self-concept and affect that may potentially influence their behaviour and experiences as computer teachers. Dusadee Terdbaramee is a Ph.D. candidate in the Learning Innovation and Technology program in the Faculty of Industrial Education and Technology at King Mongkut’s University of Technology Thonburi, Thailand. Dr. Elizabeth Murphy is a retired professor from Memorial University of Newfoundland where she was the 2007-08 winner of the President's Award for Outstanding Research. interactive computer technologies: A predictive study among Nigerian teachers. International Journal of Education and Development using Information and Communication Technology, 6(2), 55-68.
service teachers. Australian Journal of Teacher Education, 36(8), 50-64.
students. Romanian Journal of Experimental Applied Psychology, 6(1). messages about their occupational problems. Journal of Educational Technology & Society, 10(4). collaboration. Education and Information Technologies, 22(2), 551-573.
factors most influence student career decisions. In Proceedings of the 25th Australasian Conference on Information Systems (ACIS 2014) (pp. 1-10). University of Auckland. Halinski, S. & Feldt, S. (1970). The selection of variables in multiple regression analysis. Journal of Educational Measurement, 7(3), 151-157. Kadijevich, D. (2000). Gender differences in computer attitude among ninth-grade students. the internet. Journal of Kirsehir Education Faculty, 10(3), 153-160.
a single technology course on preservice teachers' computer attitudes and ability. Journal of Technology and Teacher Education, 16(4), 385.
self-concept. Journal of Educational Computing Research, 54(3), 352-370. Technology Education: Research, 11, 221-233.
urban ICT teachers. Australian Educational Computing, 22(2), 22-31.
that influence computer integration. Education Research International, 2012.
questionnaires. Denver, CO: University of Denver. approaches. New York, NY: Routledge. toward computers. Journal of Business and Psychology, 15(3), 391-404.
technology. Computers & Education, 54(1), 103-112.
experiences. Computers in Human Behavior, 17(1), 95-110.
scale for 16–19 education. Computers & Education, 28(1), 35-41.
solution ways exploration. In 3rd International Conference on Science and Social Research (ICSSR 2014). Atlantis Press. of Teacher Education (Online), 42(11), 117. Teo, T. (2008). Pre-service teachers' attitudes towards computer use: A Singapore survey. 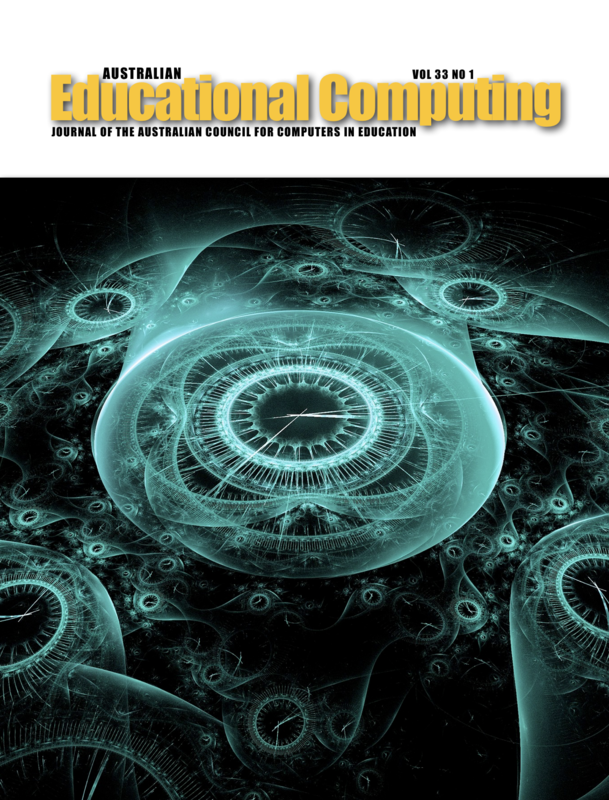 Australasian Journal of Educational Technology, 24(4), 413-424.
and information technology: The case of Greece. Information Technology in Childhood Education Annual, (1), 187-207.
instructional use of computers. In Proceedings of the International Conference on Computers in Education 2001, Korea. Incheon National University of Education. Yuen, A., & Ma, W. (2002). Gender differences in teacher computer acceptance. Journal of Technology and Teacher Education, 10(3), 365-382.
information and communication technology: A case study in a Nigerian university. Contemporary Educational Technology, 2(1), 18-36. Australian Educational Computing. Australian Educational Computing, 30(1).